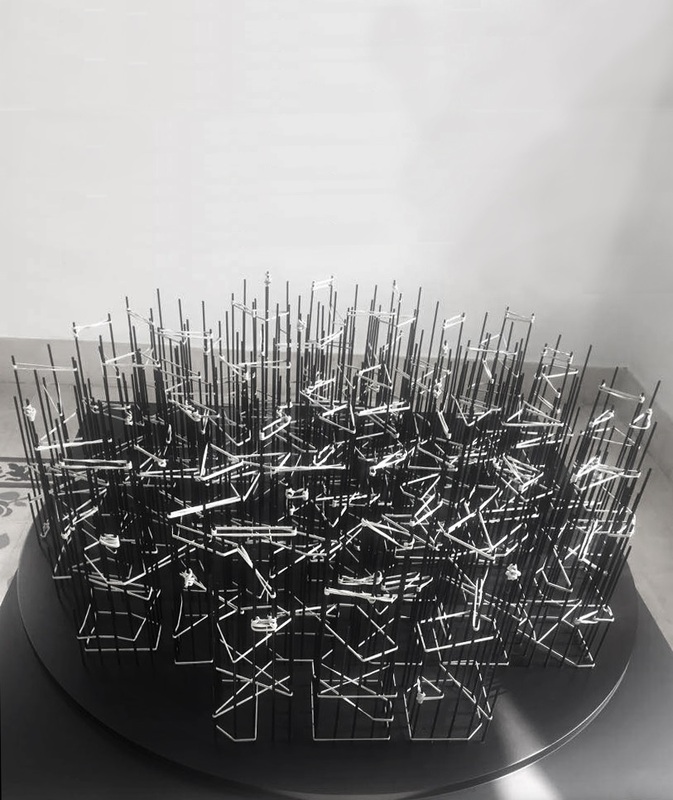 This installation is commissioned for the inaugural exhibition at Darat Al-Funun in celebration of their 30th anniversary in response to the Open Call " Truth is black, write on it with a mirage's light". Truth is black, write over it with a mirage’s light. "Escape Reality", 2018, mixed media installation, 100 x100 cm.